In this tutorial today, I’m going to show you how to use tissue paper as a tool rather than as an actual art material. 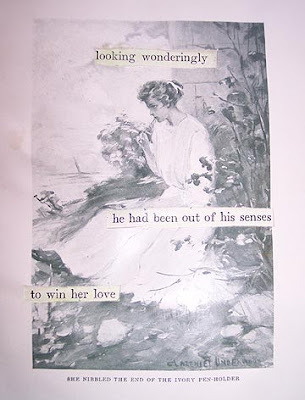 Using plain white tissue paper as a guide, you can create really fun found poetry pieces in your altered books and collages. 1. Gather together a picture that you would like to use, a sheet of text, a sheet of tissue paper, a pencil, and an exacto knife. 2. Find some words on the sheet of text that make an interesting found-word poem, or somehow relate to your picture. 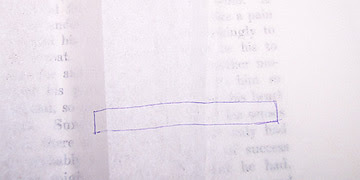 Lay the sheet of tissue paper over the text and draw a box around the words with your pencil. 3. Now lay the tissue paper over the image, and move it around until the word boxes are in a good location. 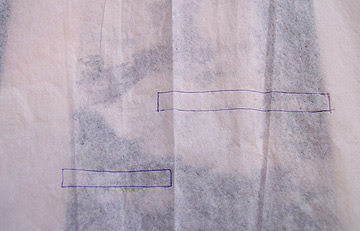 Using your exacto knife, carefully cut through both the tissue paper and the image below. 4. 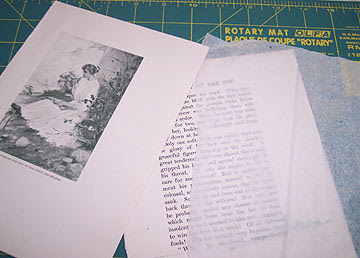 Carefully line up the text sheet behind the image so that the words show through the cut holes, and use acrylic medium to glue them together. Trim them even with each other if needed.